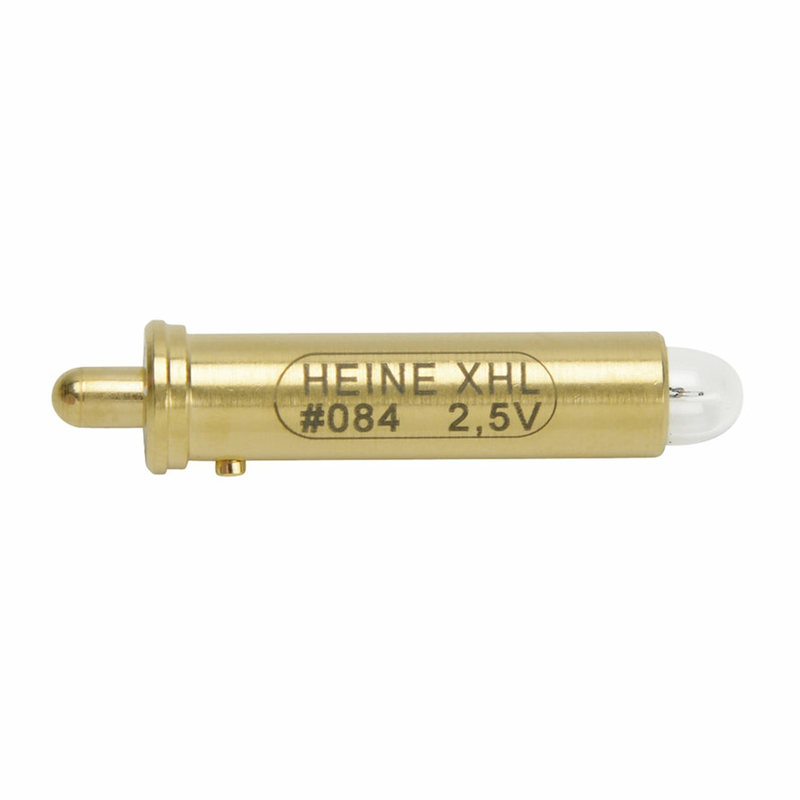 • Replacement 2.5v XHL Xenon Halogen bulb for Heine otoscopes. 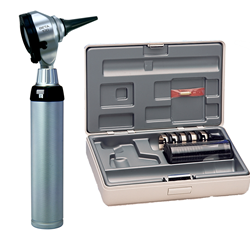 • Suitable for use with the following models: mini 2000 Otoscope, minilux Otoscope. Look at the bottom of your bulb for the code number to identify it. 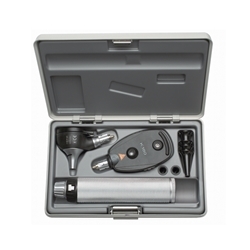 The Beta 100 Direct Illumination otoscope with an all metal housing and scratch resistant glass lenses for a lifetime of maintenance-free use. 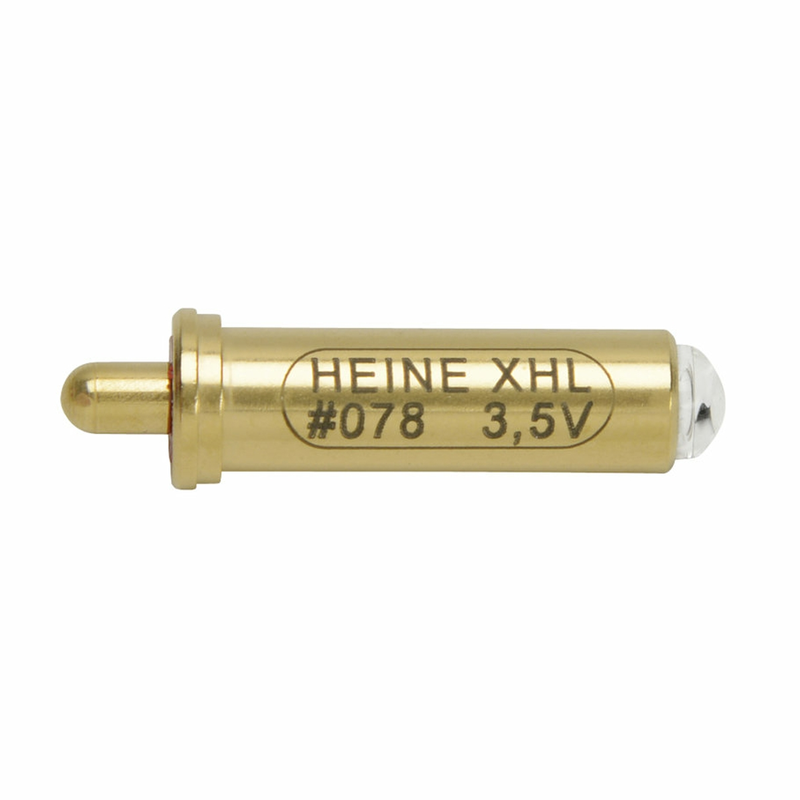 · Brass casing for strength with matt chrome finish. <?xml:namespace prefix = "o" ns = "urn:schemas-microsoft-com:office:office" />· 3 x magni­fication. · Multi-coated glass viewing window offers high resolution and distortion-free images. 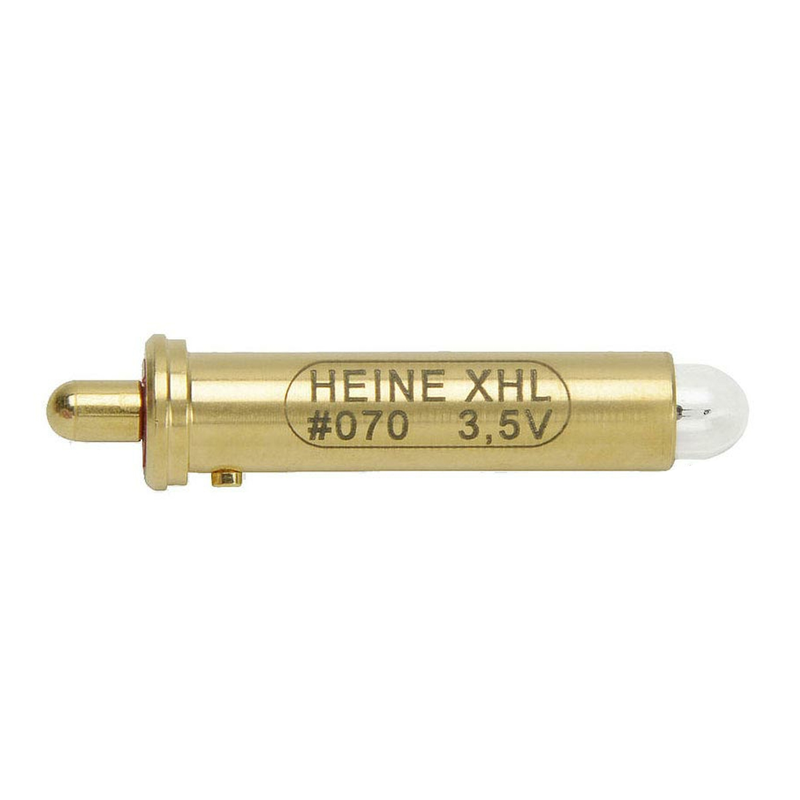 · Xenon Halogen – for extremely bright white light. 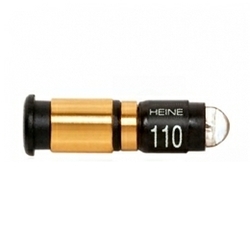 · Unique, stepless dimming from 3 % to 100 % with practical one-finger operation. 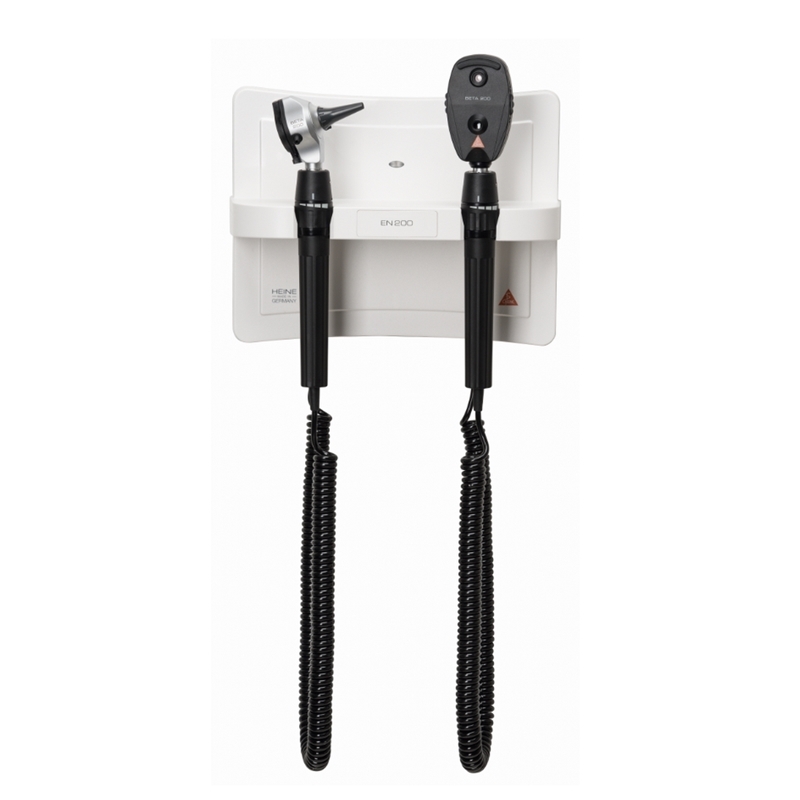 · Viewing window is permanently attached, and swivels for instrument use and complete cleaning of the instrument head. · Integrated insufflation port offers tympanic mobility testing without air leakage. 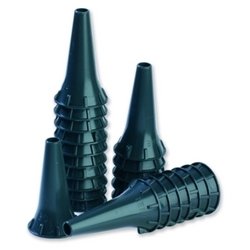 · For use with UnisSpec disposable specula. 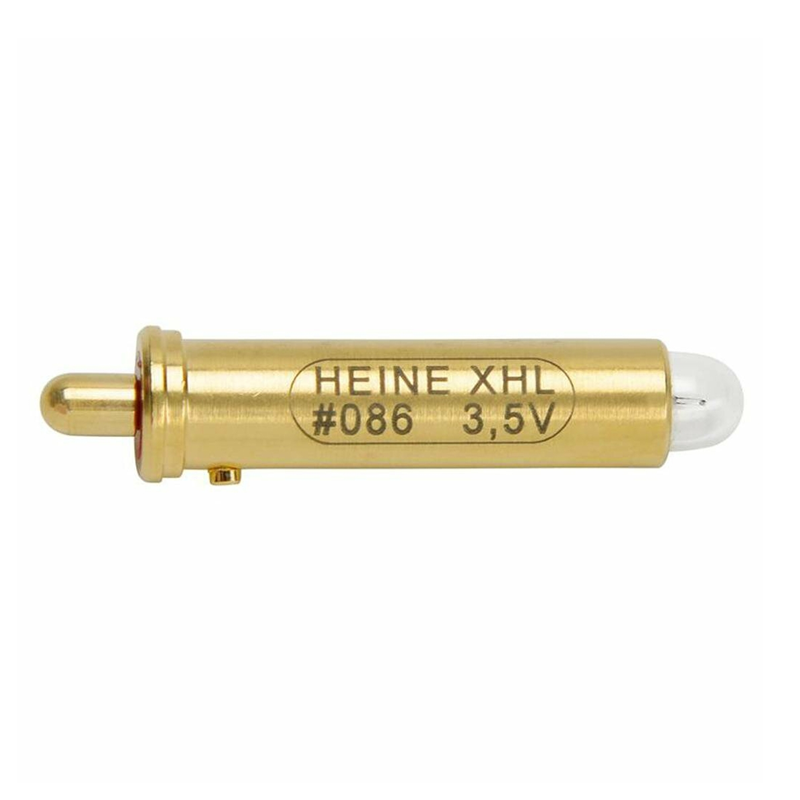 · Supplied complete in hard case with spare Xenon bulb, reusable and disposable speculae. This product comes with a 5 year Heine guarantee. 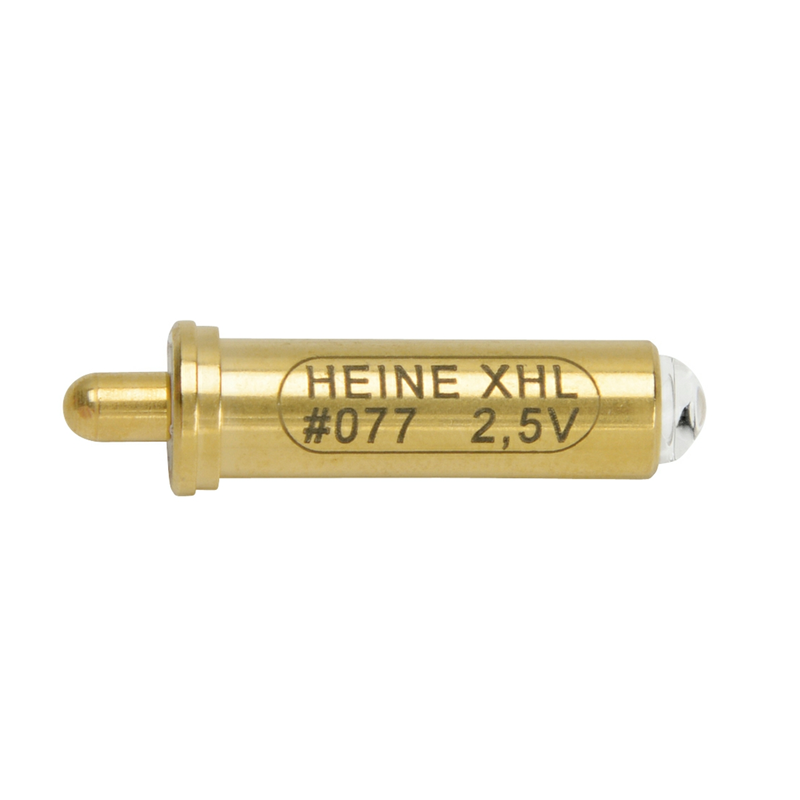 Comes with a 5 year Heine guarantee. · Acrylic viewing window offers sharply focused and distortion-free images. · Fibre-Optic Illumination - ensures homogeneous, very bright illumination and an unobstructed view of the ear canal and tympanum. 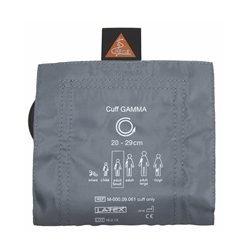 · Supplied complete in red/black canvas pouch with set of 4 reuseable speculae. 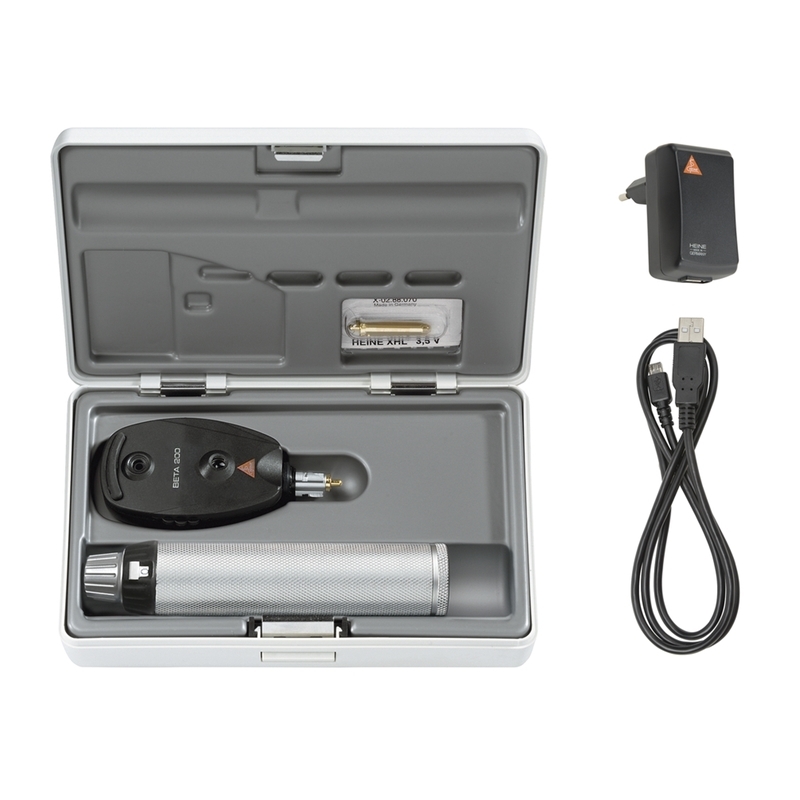 The Beta 200 otoscope has been designed with an all metal housing and scratch resistant glass lenses which guarantee a lifetime of maintenance-free use. 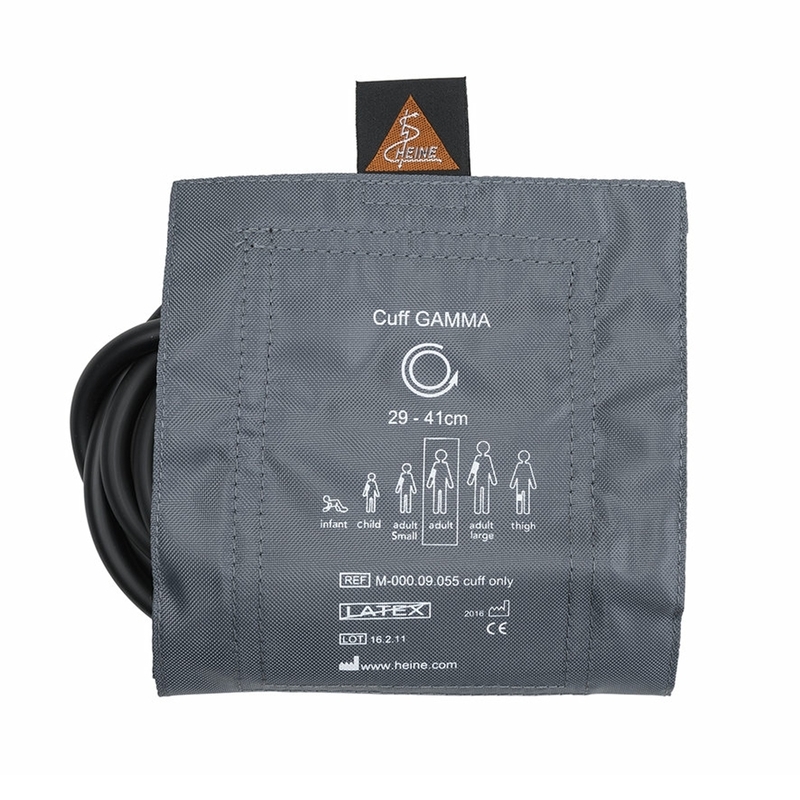 · BETA 4 3.5v Lithium-Ion recharegable handle. 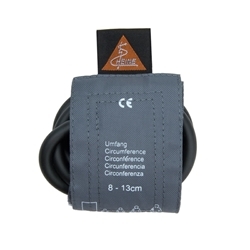 · USB charging cord and plug-in power supply. 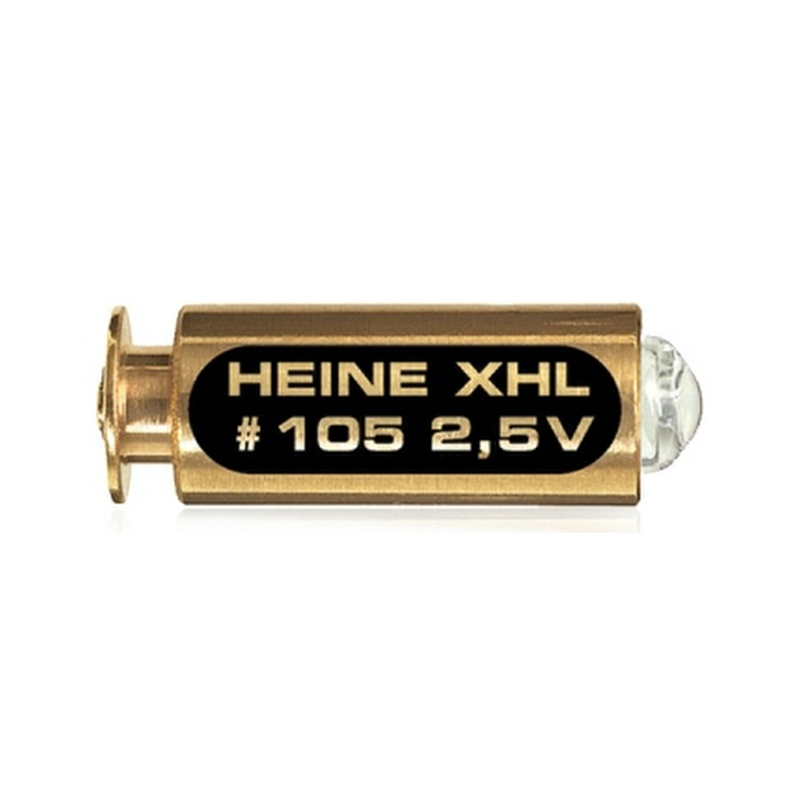 · Heine BETA4 3.5v lithium-ion rechargeable handle. • Suitable for use with the following models: K180, Beta 200, Beta 400, Beta 200VET otoscopes, Finoff LAMBDA 100 Retinometer, Diascleral Transilluminator, Multi-purpose illuminator, Slit illumination head. • Suitable for use with the following models: 3.5v Diagnostic Otoscope, Alpha, K100 and Beta 100 Otoscopes, Tongue Blade Holder, Alpha & F.O. 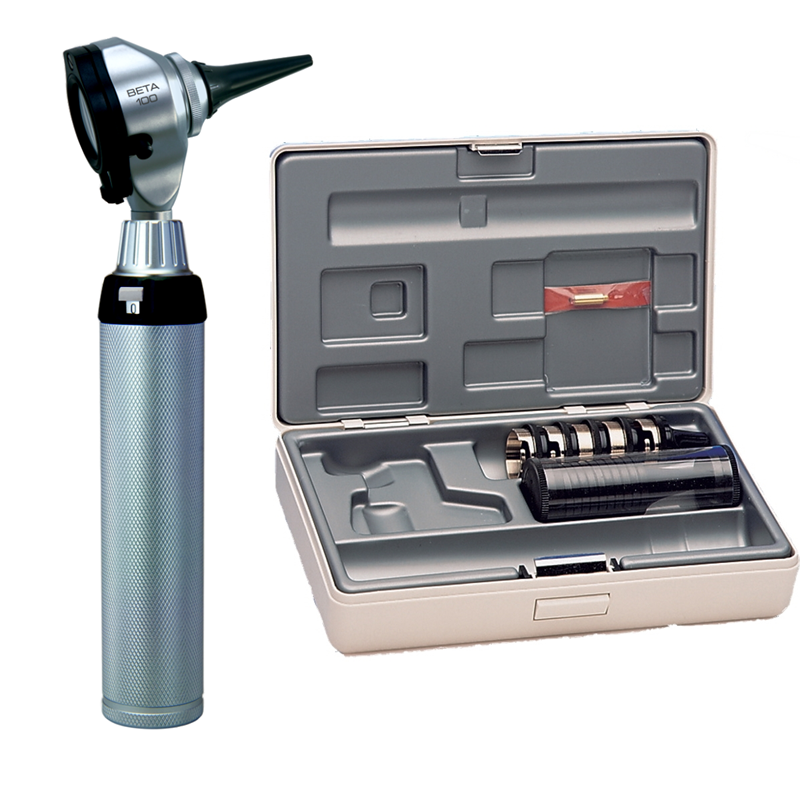 Otoscope and Alpha & Tongue Blade Holder. • Replacement 3.5v XHL Xenon Halogen bulb for Heine otoscopes. · Heine large battery handle. 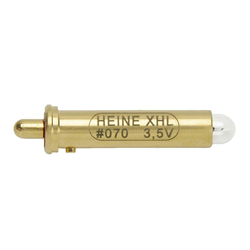 • Replacement 2.5v XHL Xenon Halogen bulb for Heine ophthalmoscopes. • Suitable for use with the following models: K180 Ophthalmoscope. 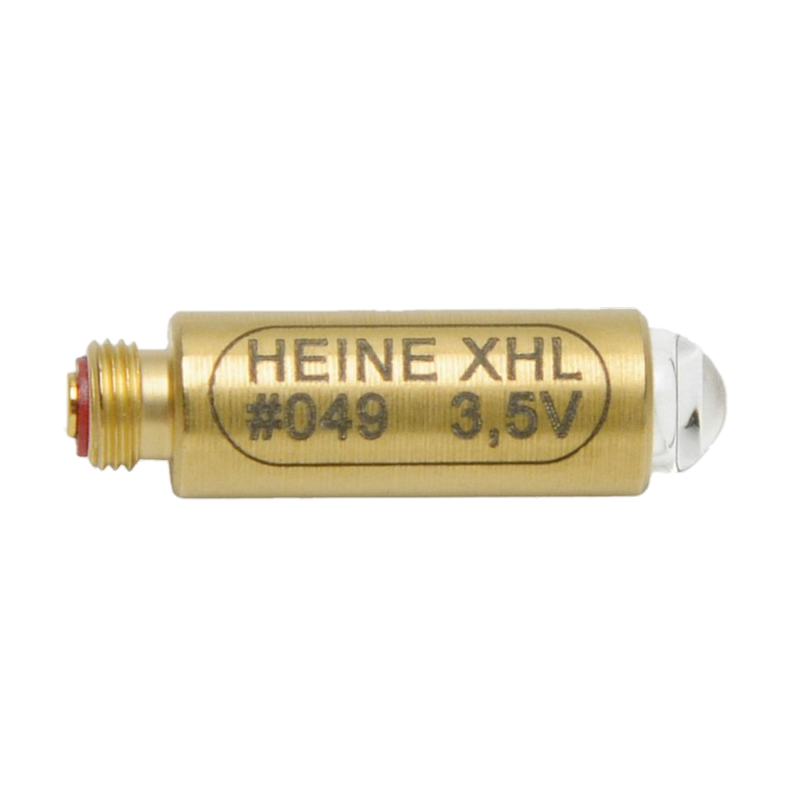 • Replacement 3.5v XHL Xenon Halogen for Heine ophthalmoscopes. • Suitable for use with the following models: Beta 200 M2, Beta 200S and Beta 200 Ophthalmoscope. 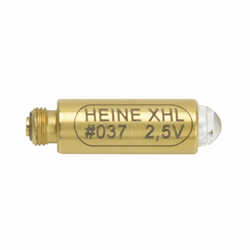 • Replacement 3.5v HL Xenon Halogen for Heine ophthalmoscopes. 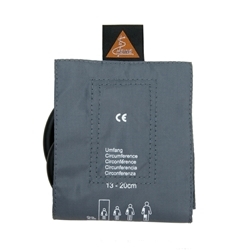 • Suitable for use with the following models: Beta 200 Ophthalmoscope. 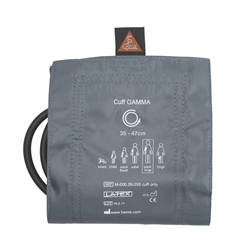 A high quality yet economical portable diagnostic set suitable for the busy GP or nurse. · Precision spherical HEINE optics - corneal and iris reflexes are eliminated. · Choice of 5 apertures for both large and small pupils - choice of fixation star or cobalt blue filter for corneal examination. Heine K180 3.5v Fibre Optic Diagnostic Set with rechargeable handle. 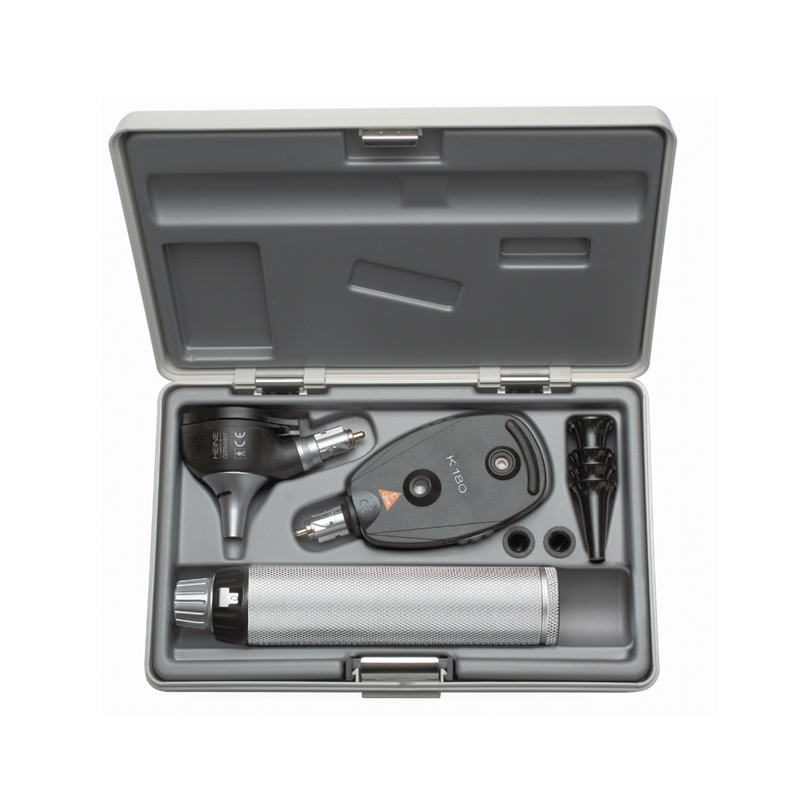 The Beta 100 Direct Illumination otoscope has been designed with an all metal housing and scratch resistant glass lenses for a lifetime of maintenance-free use. 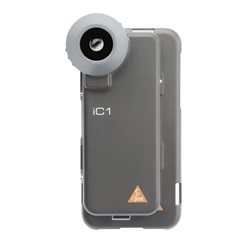 Exclusive dustproof design protects the precision optical components and ensures maintenance-free operation. The BETA 200 Ophthalmoscopes are the only instruments with an aluminium frame system. 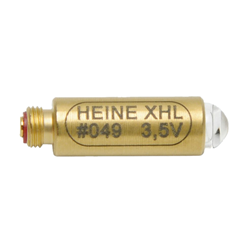 Optical components are flush-mounted on a cast aluminium frame, eliminating misalignment and making the instrument shock-resistant. 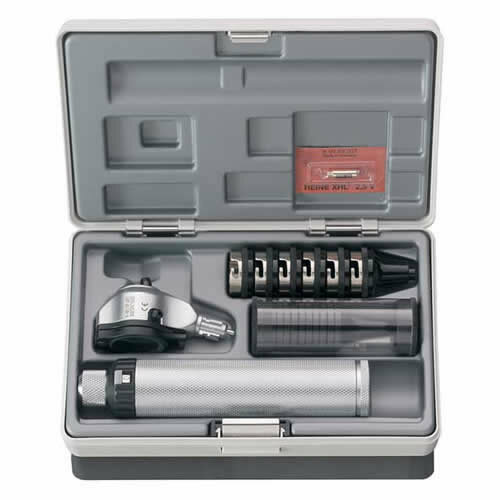 A high quality yet economical diagnostic set suitable for the GP or Specialist physician's desk. 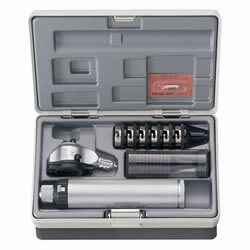 Note: Set with two handles also available as pictured. 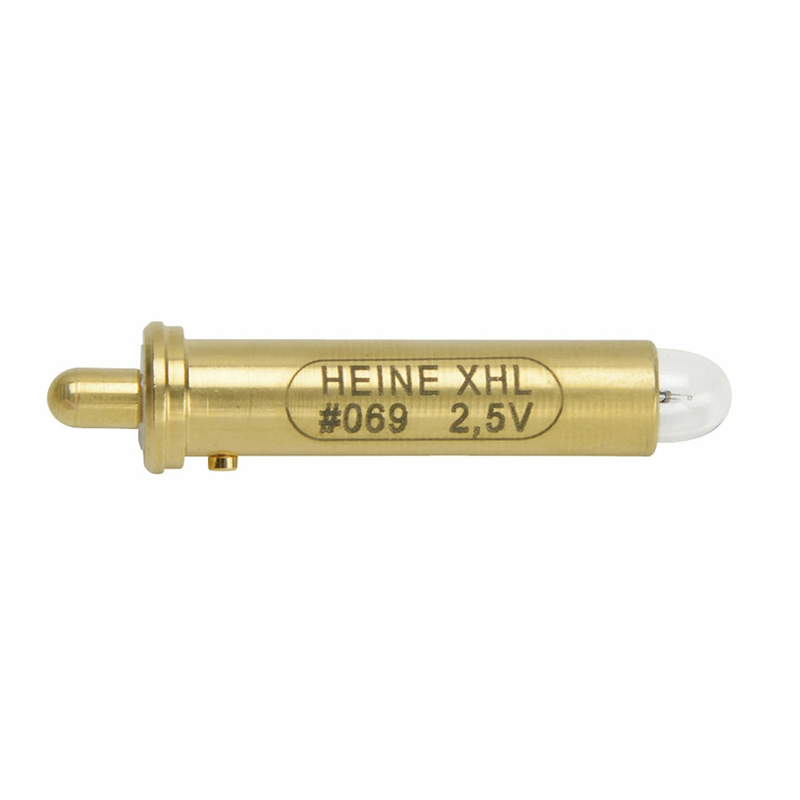 This product comes with a Heine guarantee for 5 years. 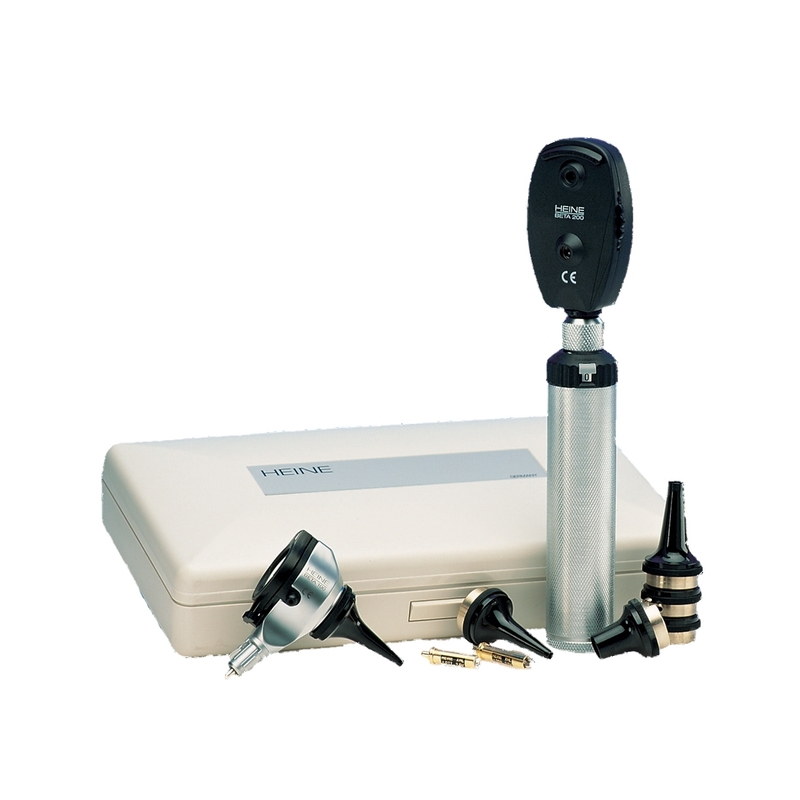 The Beta 200 diagnostic equipment is the professional's equipment of choice. • Multi-coated glass viewing window offers high resolution and distortion-free images. • Fibre-Optic Illumination - ensures homogeneous, very bright illumination and an unobstructed view of the ear canal and tympanum. • Xenon Halogen – for bright illumination and authentic colour rendering. • Unique, stepless dimming from 3 % to 100 % with practical one-finger operation. 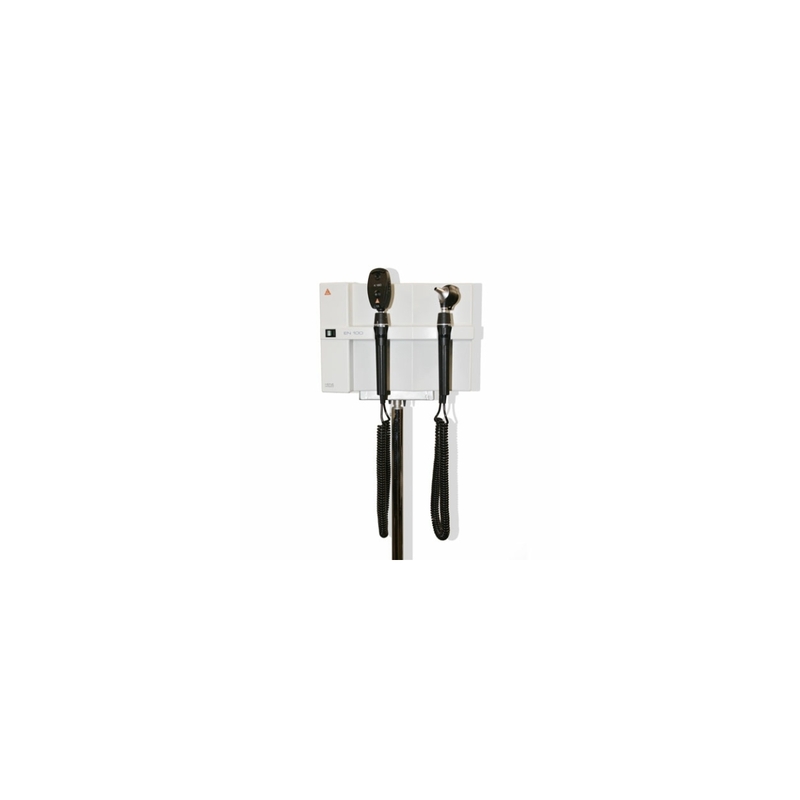 • Viewing window is permanently attached, and swivels for instrument use and complete cleaning of the instrument head. 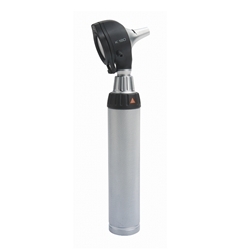 • Integrated insufflation port offers tympanic mobility testing without air leakage. 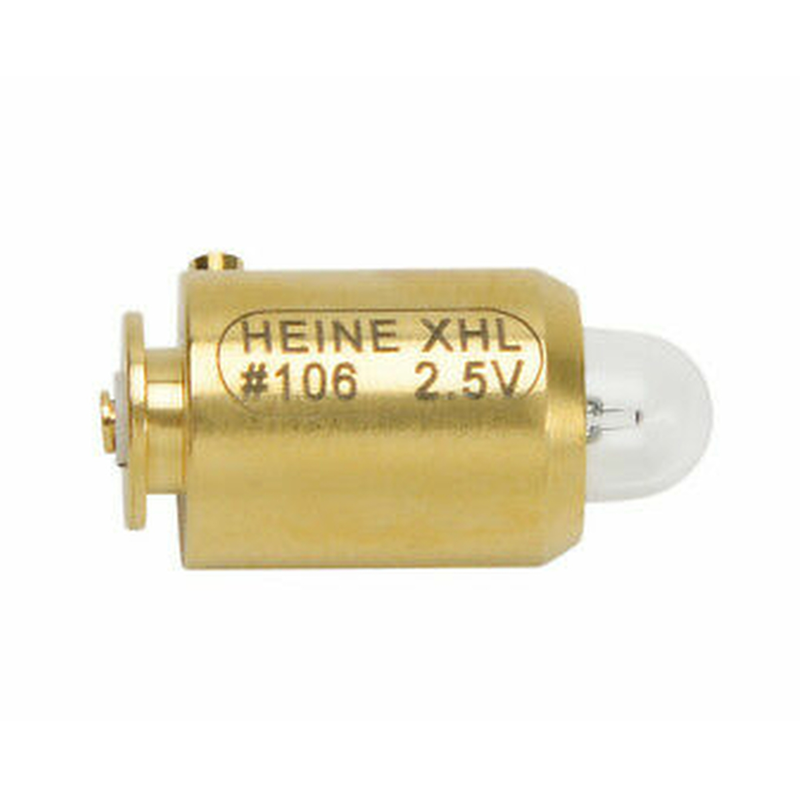 • Patented, unique, stepless dimming from 3 % to 100 % with practical one-finger operation. • No stray light due to the recessed, multi-coated viewing window – eliminates distractions. • Precise one-hand control of the instrument - ergonomic design offers flexibility while examining. • Suitable for large as well as small or undilated pupils. • Ergonomic design ­ fits the orbita comfortably, and blocks out ambient light. 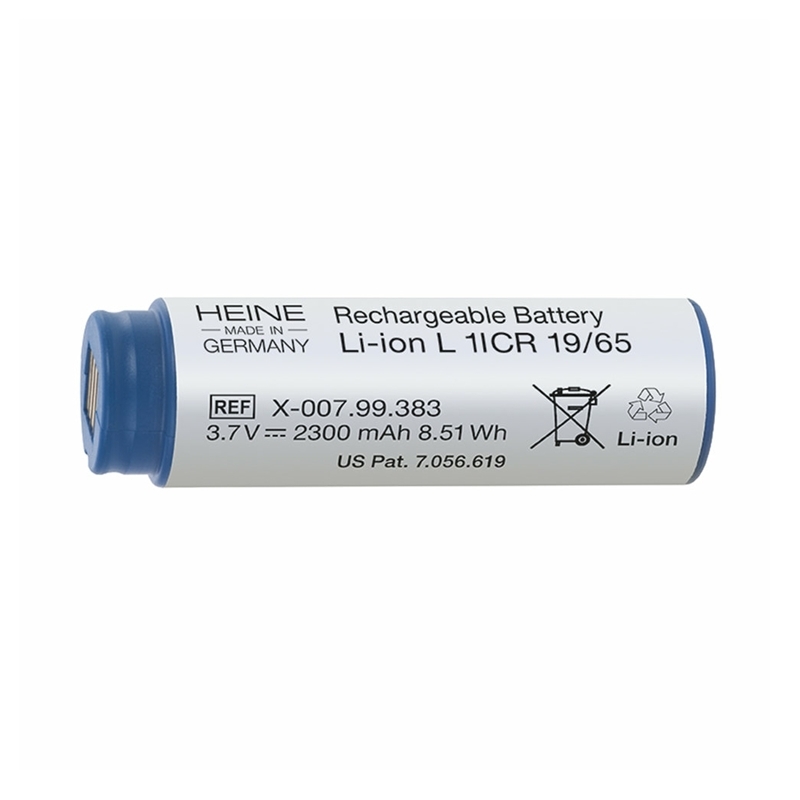 Replacement 3.5v NiMH rechargeable battery for Heine otoscope and opthalmoscope handles. Replacement 3.5v Li-Ion rechargeable battery for Heine otoscope and opthalmoscope handles. Economical yet high quality modular wall unit <?xml:namespace prefix = "o" ns = "urn:schemas-microsoft-com:office:office" />diagnostic set. · Hygienic easy to clean wall mounted unit with smooth rounded corners and no hidden recesses. <?xml:namespace prefix = "o" ns = "urn:schemas-microsoft-com:office:office" />Top quality professional sphygmomanometer ideal for consulting and treatment rooms. 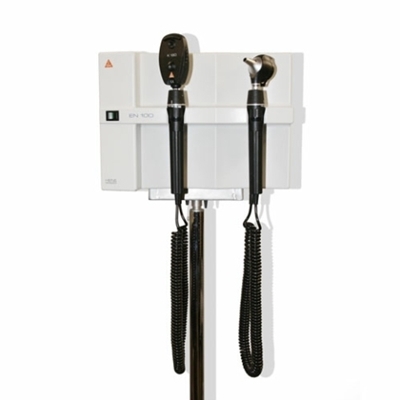 A high quality modular wall <?xml:namespace prefix = "o" ns = "urn:schemas-microsoft-com:office:office" />diagnostic set based on the Beta 200 - the professional's diagnostic equipment equipment of choice. · Instrument head matt-black inside. Eliminates reflexes. · Xenon Halogen – for extremely bright concentrated white light. 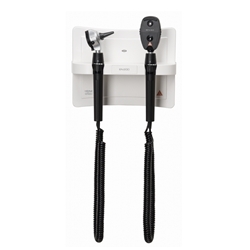 · Viewing window swivels for instrument use and complete cleaning of the instrument head. 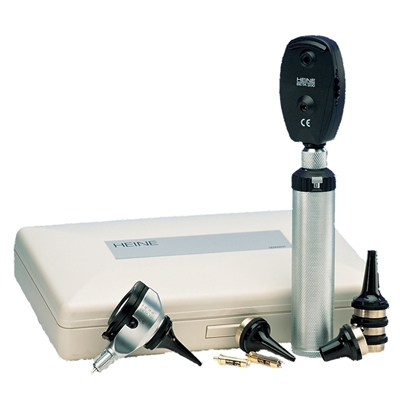 · Insufflation port with optional connector for testing tympanic mobility. 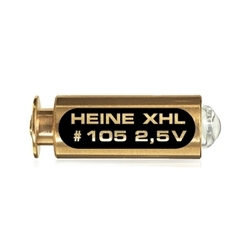 · High quality battery handle for size AA batteries. 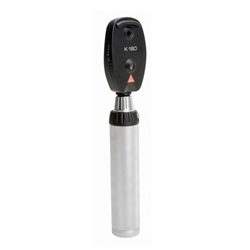 · Attachment clip with integrated on/off switch. 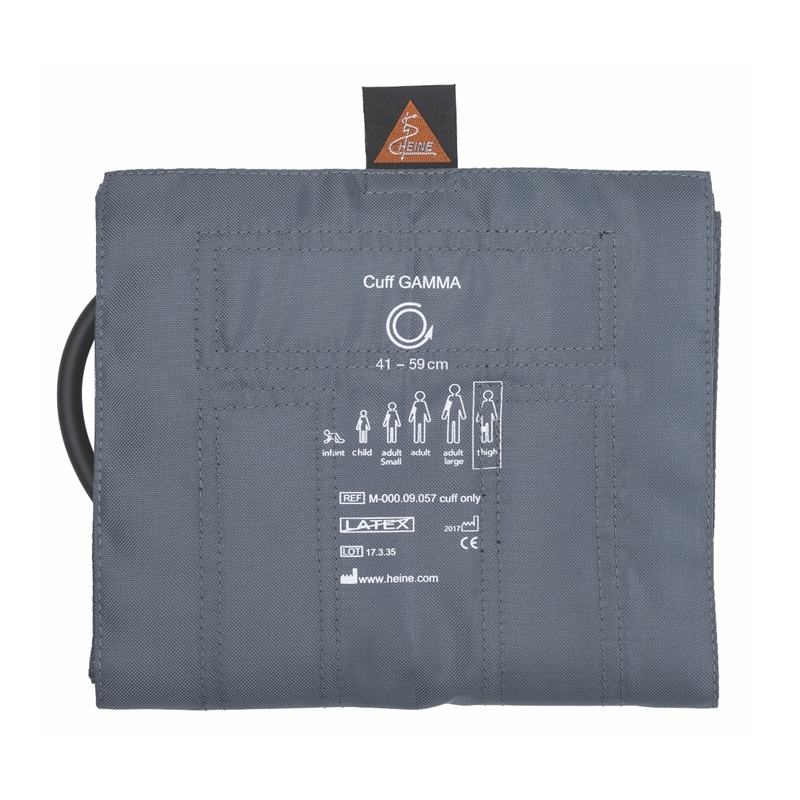 · Automatic power off when returned to the pocket. 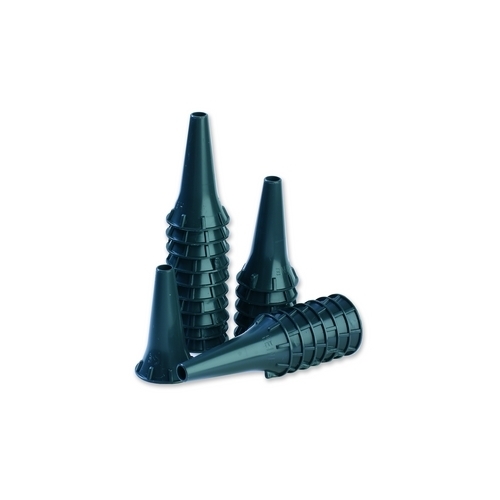 · Supplied complete in hard case with 4 reusable and 10 disposable speculae. 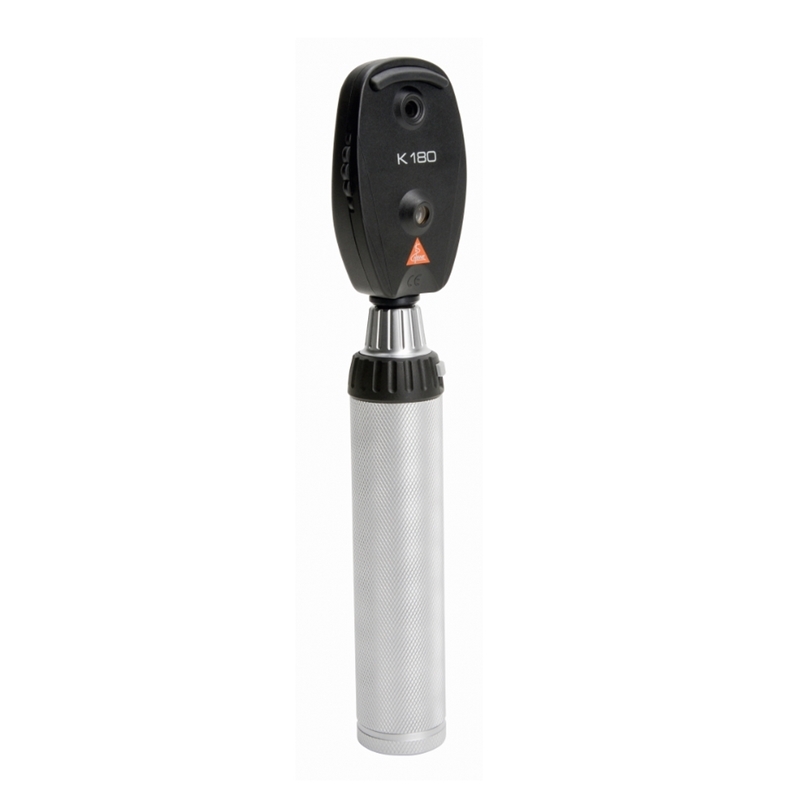 · Two piece handle and head - compatible with other mini3000 instruments. 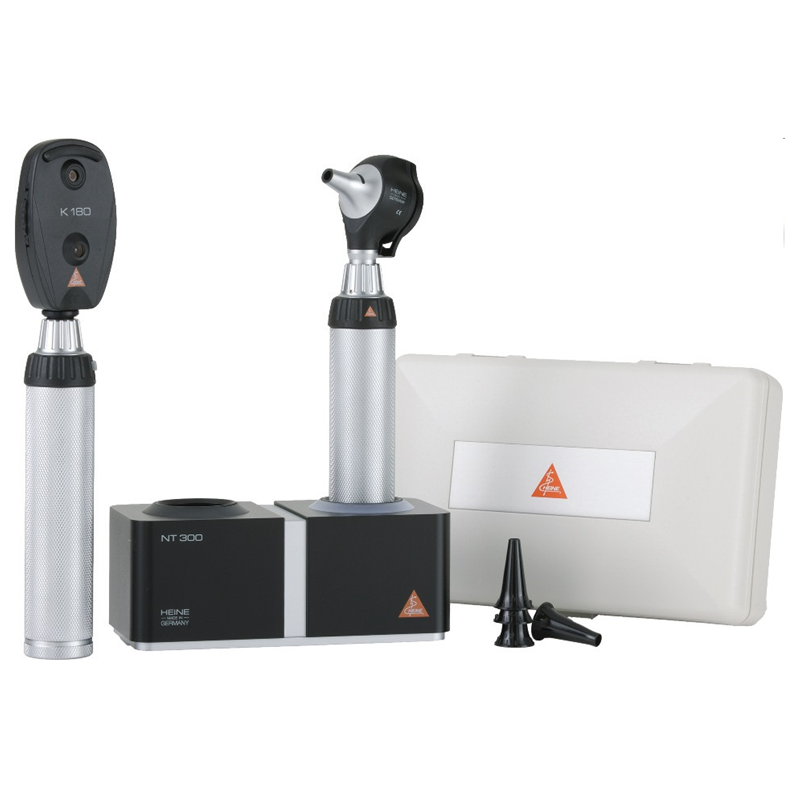 · Distal fibre optic illumination - reflex-free illumination of tympanum and ear canal. 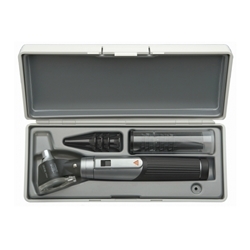 • Suitable for use with the following models: mini 3000 Fibre Optic otoscope. 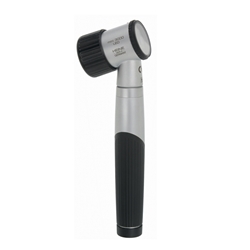 • Suitable for use with the following models: mini 3000 ophthalmoscope. 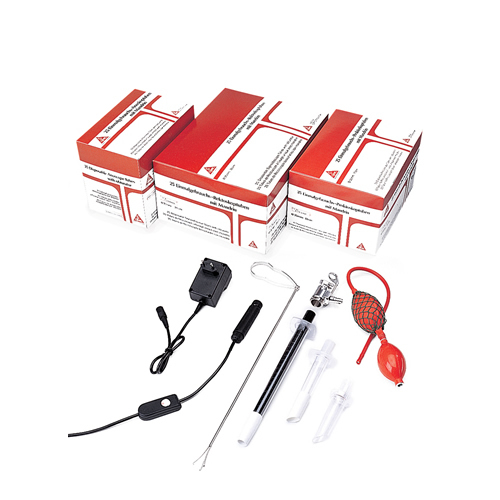 Modern, pocket diagnostic set in a unique, compact design. Intermediary unit containing all the features necessary for comprehensive examinations. Ideal for the GP as either their main or secondary unit yet strong and versatile enough for busy hospital ward use. 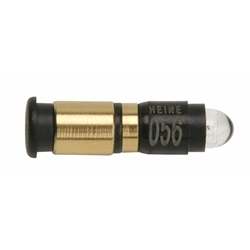 1 Set reusable tips: 5 x 2.5mm and 5 x 4mm. 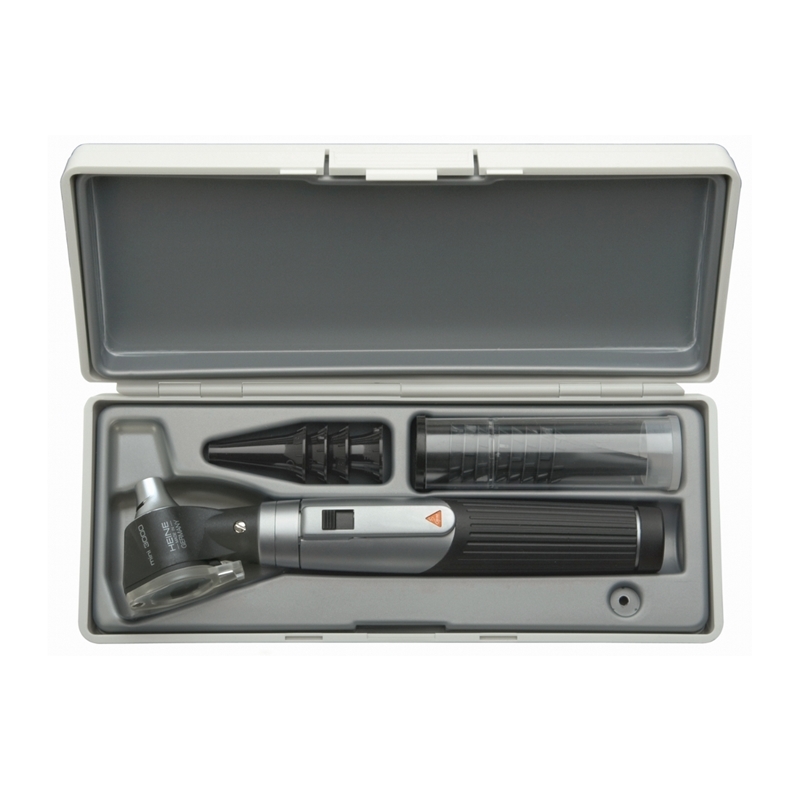 The benchmark Heine Delta 20 T Dermatoscope is designed for fluid dermoscopy and features 6 LED full-illumination or alternatively lateral illumination with 3 LED's, combined with high-resolution precision achromatic optics. 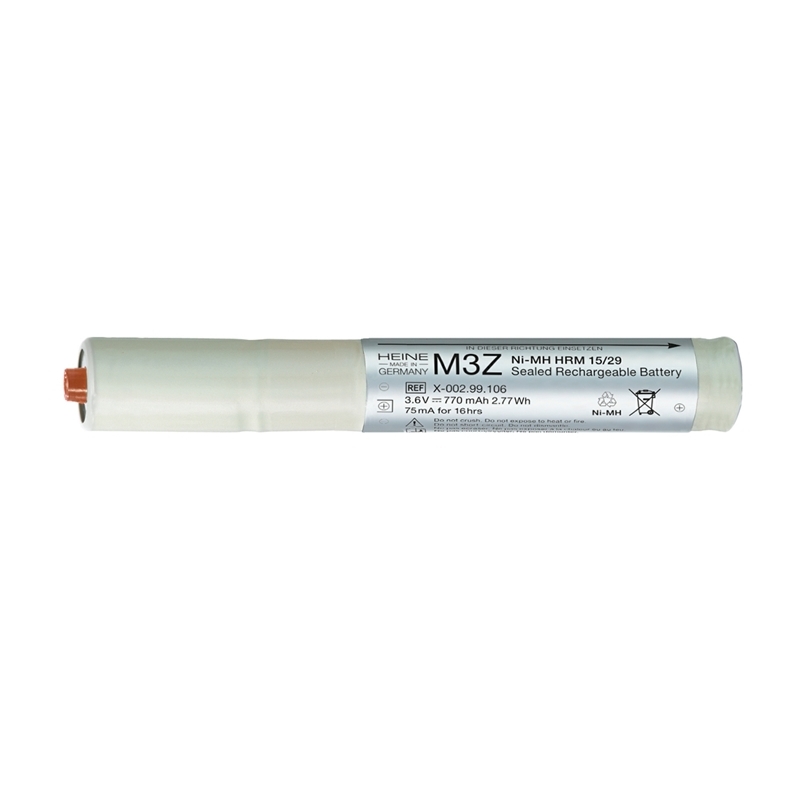 For dermatoscopic examination of pigmented skin lesions and early diagnosis of malignant melanoma dermatoscopy oil is applied to the skin to make the outer skin layers more transparent. The differential diagnosis of initial malignant melanoma and other pathologies is made easier and more accurate with Delta 20. 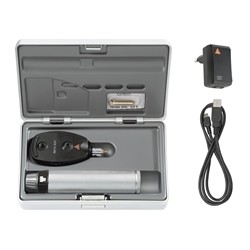 Modern pocket dermatoscope which offers a compact design with high quality optics and superb LED illumination. The HEINE iC1 device is designed for capturing clinical and dermatoscopic images for documenting and supporting differential diagnosis of melanomas and other skin lesions.